SEO isn't for the weary. Get a professional seo company to manage it for you. SEO is an acronym for search engine optimization. It is science and an art form used to get a website ranking high above competitors websites. If your website ranks higher in the search engines you will receive more organic traffic to your business. The value is high and that same reason is why your competitors are doing it RIGHT NOW. Everyday, other companies are trying to takeover those top rankings. Every niche has a different value, thus the work required to compete requires a different output from the SEO agency. In a Hurry To Talk to Us? We need to see what your competitors are doing to rank. They might not be implementing a very good strategy or they might be spending a $100k per month. We need to know what keywords represent the most value to your business. Getting the text on your site to match the needs of ranking for your business is an art and science. Don't waste your time with anyone other than an expert. Your website needs to have the right content on it. It is possible we can rework the content you already have on your website to achieve the best seo results. After analyzing your website, we find the best internal linking strategy to help enhance the SEO campaign. As one of the better seo companies out there, we don't accept all links that are created for your website at face value. We are skilled both in front end and back end operations of a website. If the backend of your server, database, php coding, is optimally working, we can fix that. We also want to optimize the website code itself for maximum performance. Google hates unoptimized websites. How fast is your website? We use all the tools to measure the effectiveness of our optimization efforts. If your site is slow, Google is penalizing you. They will NOT rank you as high as your competitors who are optimized for maximum efficiency. Depending on what level of service we work with you, we arrange for reputable news sources to talk about your business and reference your website. This builds community circle awareness and authority. 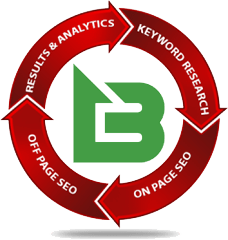 This type of SEO is that your content works in a way that builds a nice flowing long tail list of searches where your customers are finding you in a variety of search terms and phrases, organically. This is the most natural form of SEO hence the name. Social networking is the most trafficked form of internet activity now. Everybody checks at least one social networking site everyday. Utilizing social seo can be a great bang for your buck. Utilizing our years of ranking a large variety of websites from corporations to small companies, we understand the techniques that are needed to improve and outrank competitors. We want to discover, with you, to find out what kind of customers you want to attract, and take the necessary actions to improve the website so that it is setup for success. Let's start a conversation about your website. Where are you ranking now? What are other businesses doing? Backlinks are needed for your website. Certain backlinks are better for your page than others. What you write on your page can effect rankings. Technical SEO is often overlooked. Do I Need an SEO Company? 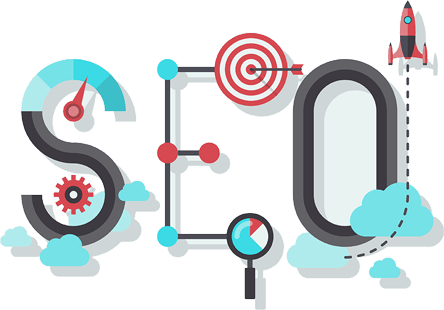 You only need Search Engine Optimization company if you want to increase your sales, gain more exposure, or appear as the authority in a particular category. If you don’t care about any of those things, then you probably don't need SEO. There are different aspects to what Search Engine Optimization is used for. The number one reason people utilize search engine optimization is to gain exposure to potential customers that use the web either through their computer or mobile device. The internet is always on and customers are always searching.